- Series? Will be book 2 of 2. 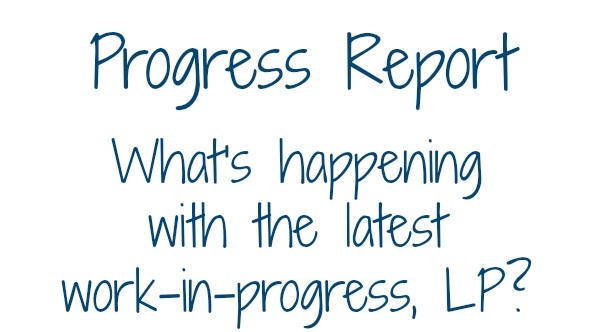 Today, I released I'm less than 500 words away from the halfway point of this WIP, word-wise! That is awesome, especially since I have exactly one month to finish it. My time is being cut short because I leave for a cruise next month. 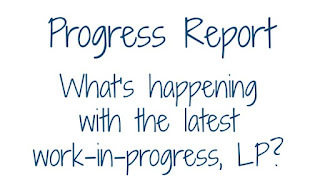 Hitting the halfway point is a great reason to post a progress report! I also realized that there are some key parts I need to figure out for the rest of the book. That could be helpful when writing the last half of their story, you know. ;) As soon as that's done, I can keep writing, wrap the book off, and ship it to my betas. I feel like I can't say too terribly much about this book because I don't want to give anything away, especially since y'all don't even know what happens in the first book yet. I am enjoying this one as much as the first one. They are dealing with new challenges, old ones, and having to deal with the things life can throw at them. That's all for now! While I'm plotting away, make sure you check out the series page to get all the details about the first book, Driving Me Mad. While writing this book, I'm outlining the next project after this one, which will be a hockey romance series featuring players from my new Carolina Rebels team. I've actually written scenes here and there for the first four books. I'm very excited about these! Mary and I are still working on The Ninth Inning series as well! We're writing the last book in the series, while also prepping the remaining books for publishing.